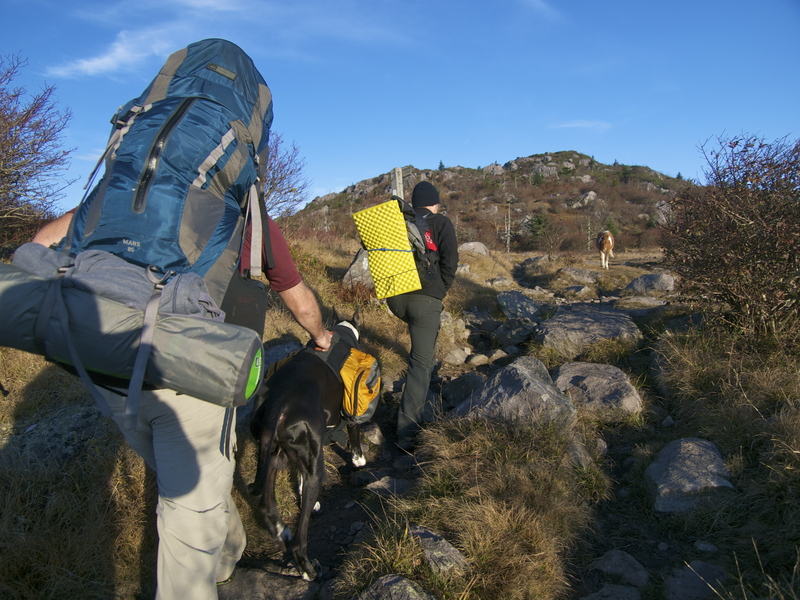 ← Hiking the AT: Glorious Grayson Highlands! Four years ago in mid-October, I spent a memorable weekend camping on Assateague Island with a group of friends whom had all met at Wyman Dell, the best dog park in Baltimore. The Assateague trip was my sendoff: I had finished my master’s degree at Johns Hopkins and a summer internship at EARTH magazine and was heading out West to spend the winter housesitting an off grid Earthship in New Mexico. I’ve always said that the best way to cement lasting, meaningful friendships is to go camping together. A lot of people have come and gone from my life in my nomadic last four years, but I’m still in touch with the group from Assateague. Something about walking the beach, sleeping on the sand, watching sunrise over the Atlantic and fending off pesky wild ponies from our campsite together really bonds you to people for life! Hiking the AT, wild pony up ahead! 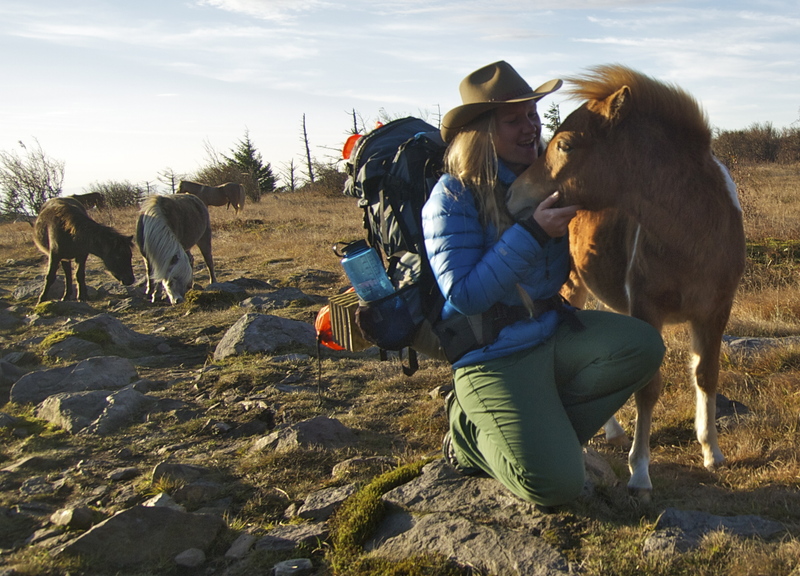 Funny how the world works: four years later in mid-October, I found myself backpacking through the Highlands of Virginiawith one of those Assateague friends, once again in the midst of wild ponies! I didn’t even know Virginia had more than one herd of miniature mustangs! Grayson Highlands Pony Herd! Grazing right along the Appalachian Trail. In 1975, fifty hardy Assateague ponies were released in Virginia’s Grayson Highlands to graze the balds and keep the brush from taking over. You see, the balds aren’t natural; the Highland’s vast open hilltops were once heavily forested, but extensive logging in the late 1800’s cleared the land. Cattle ranching kept the balds open through the early 1900’s but when the cows left, the brush started growing back with a vengeance. The ponies thrived in the harsh high country and today, around 150 graze the scenic balds, keeping the brush at bay. Hiking a 20-mile loop on the Appalachian Trail through Mount Rogers Recreation Area and Grayson Highlands State Park, we caught our first glimpse of the wild ponies off in the distance. We kept our voices low and watched them surreptitiously, thinking we were being treated to a rare glimpse of skittish wild animals. 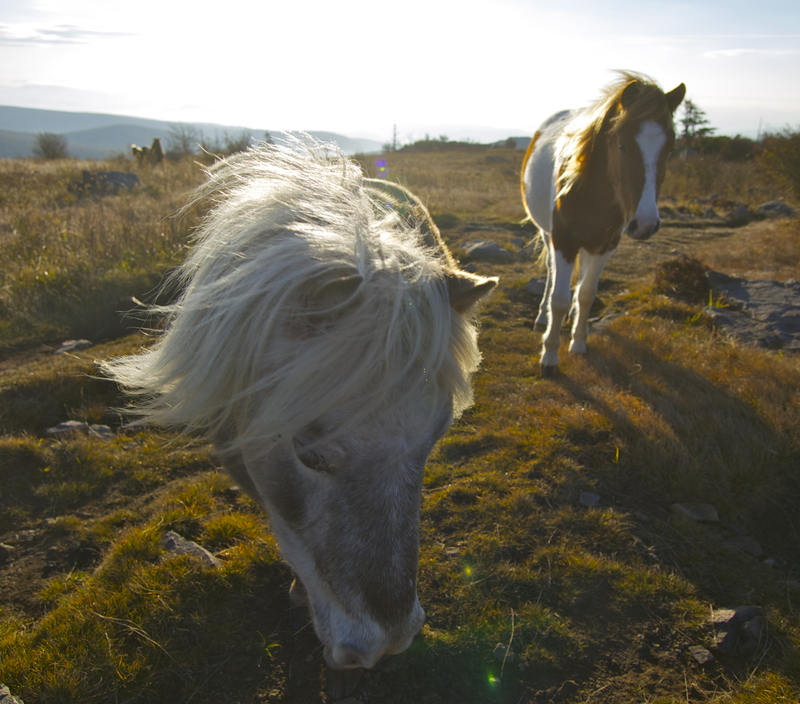 As it turns out, the ponies are considered “wild” because they aren’t looked after – they find their own food, water and shelter and aside from a yearly round up and auction (this year it took place the last week in September) they are left alone to make their living on the balds. 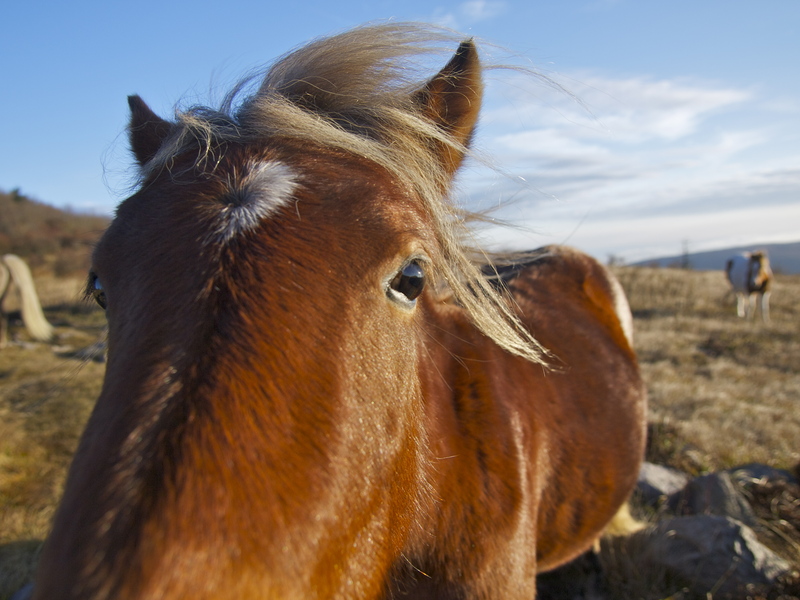 After years of handouts from hikers the ponies are anything but wild. We stumbled upon a herd grazing right on the Appalachian Trail and literally had to wade through them! What a bunch of pests! Adorable pests, but beggars nonetheless. We didn’t feed them but I did geek out a little, my childhood pony love rushing to resurface. What a sweet highlight of an awesome weekend on the Appalachian Trail! Love horses? Me too! Check out my previous posts Filly Lost & Found, Healing Horses, Wilding Horses and All the Pretty Horses. 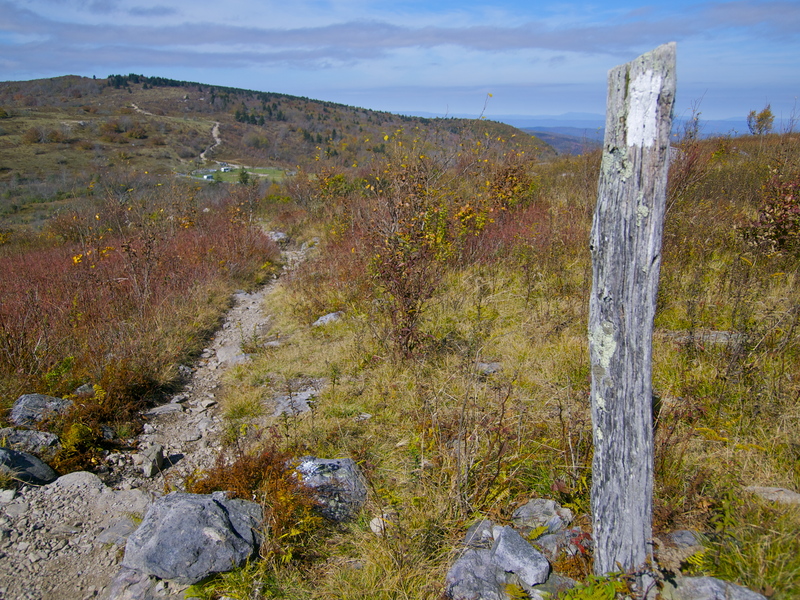 This entry was posted in Appalachian Trail, Bowie & D.O.G., Cowboys & Horses, Hiking!, Photography, Vagabonding 101 and tagged feral ponies, Grayson Highlands, wild ponies. Bookmark the permalink. I live in the area and apparently need to take up hiking! That is the neatest thing ever. I love that they aren’t nervous around people. Great photos! Goodness I know nothing of the world to be so dang old….didn’t even know we still had “wild” ponies roaming around. They are soooo cute. Great post! It makes me miss fall after living in the tropics for so many years. 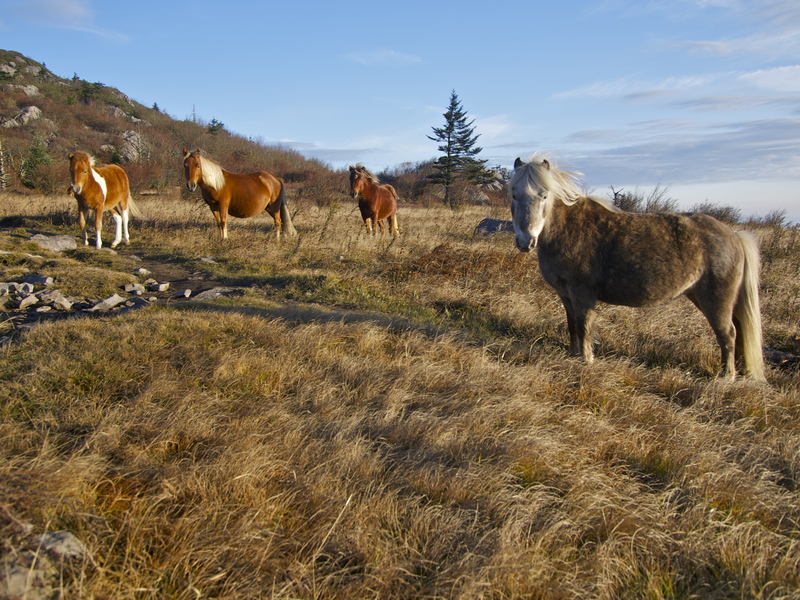 According to “Wild Horse Dilemma”, Bonnie Gruenberg, 2015, the herd of 50 ponies released on Grayson Highlands were Shetland ponies. 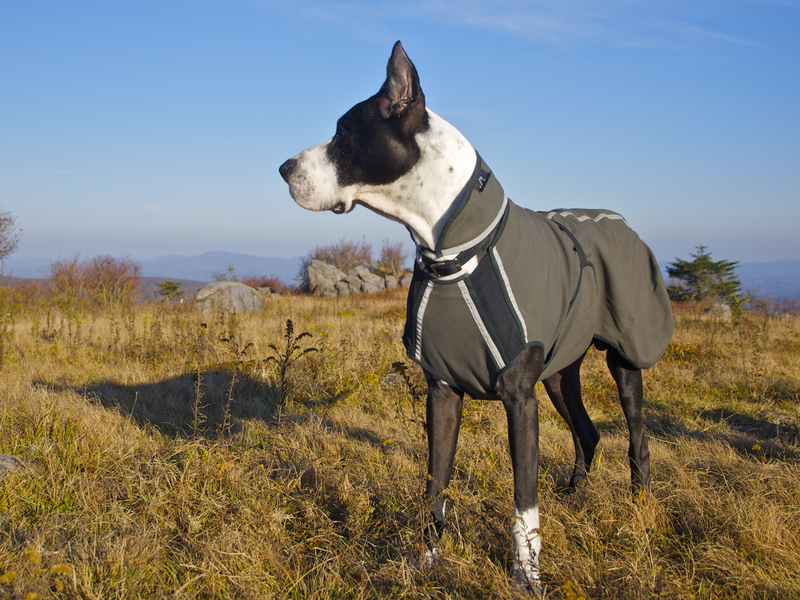 We will be heading to Grayson Highlands this weekend. Can’t wait to see the ponies!